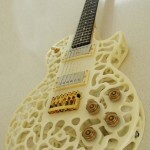 Who knew 3D printers could make music? 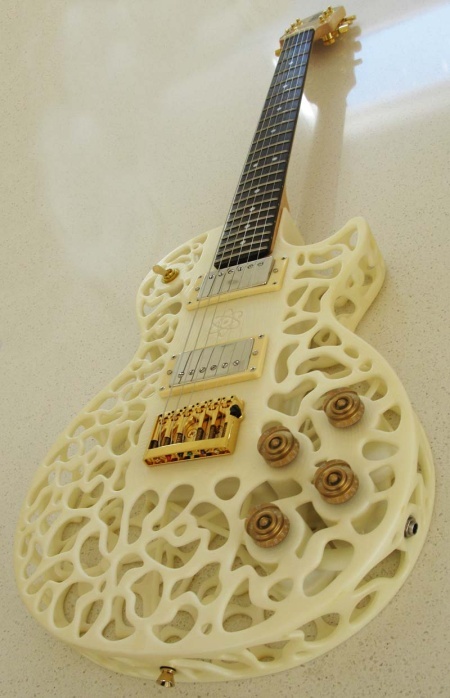 That’s exactly what Olaf Diegel set out to show the world when he designed guitar bodies for 3D printing. 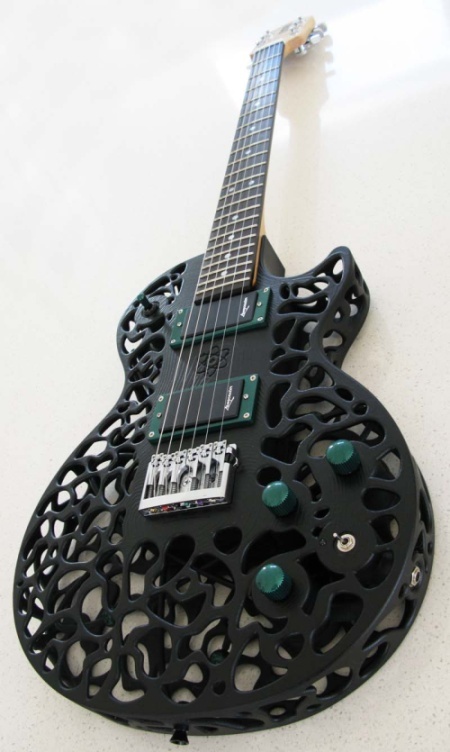 As a professor of mechatronics at Massey University’s School of Engineering and Advanced Technology, Diegel is an expert in the industry of additive manufacturing. 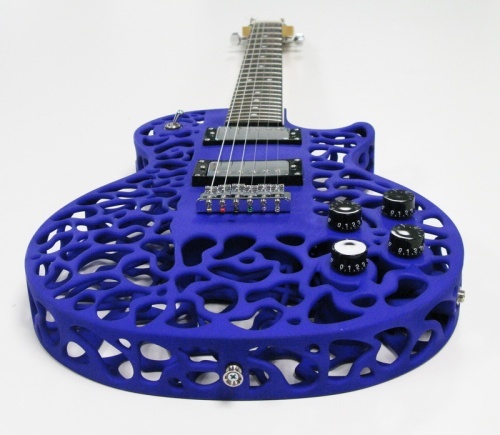 This is the term used to define 3D printing, since it is a process that builds upon layers of a material to produce something instead of the traditional “subtractive” manufacturing, which removes parts of a material to produce something. 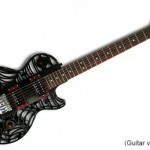 He also happens to love good ol’ rock & roll. 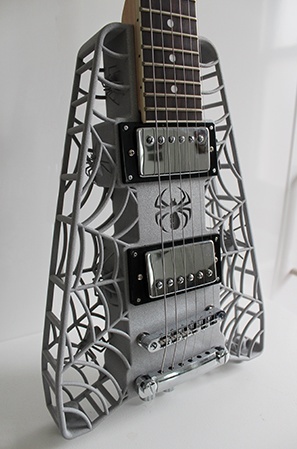 Considering the expenses in acquiring the best kinds of wood to create top-notch guitars, Diegel realized that his knowledge in 3D printing could also be applied to making guitars relatively on the same level of sound quality at a lower price. 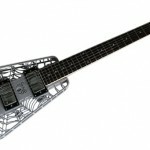 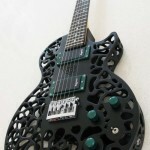 Because of his creative design background, he didn’t just want to make generic looking guitars with cheaper materials. 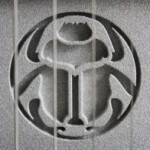 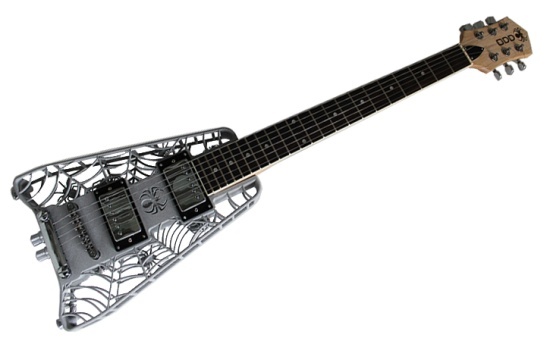 His first ever guitar design was the Scarab, showing all sorts of insects in a complex hollow lattice body. 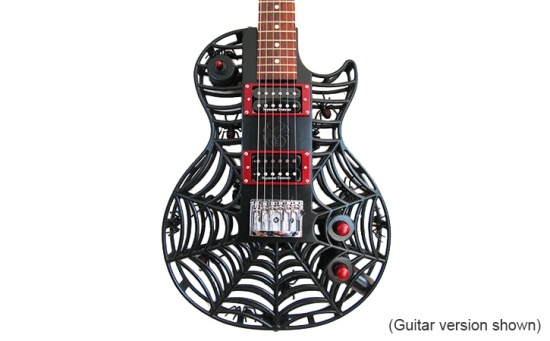 The following designs—the Spider, the Hive, and the Atom—all took inspiration from nature as well. 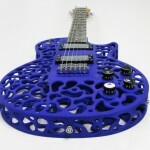 These four designs are all up for grabs in the online 3D print shop Cubify. 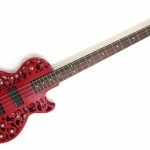 Interested buyers can have their very own 3D guitars customized from the wood of the neck to the pickups to the body’s color. 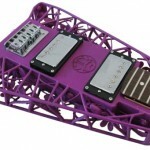 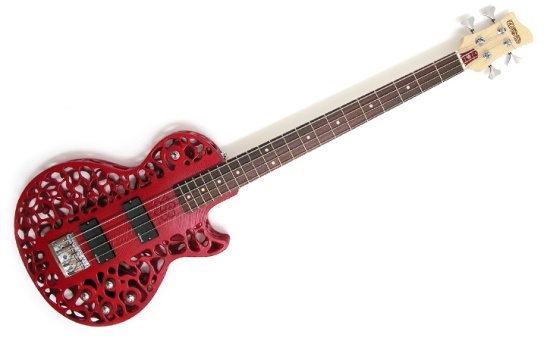 Another person who used his knowledge of 3D printing to fashion new guitars is Amit Zoran, a student in MIT who has his work featured in the tech university’s website. 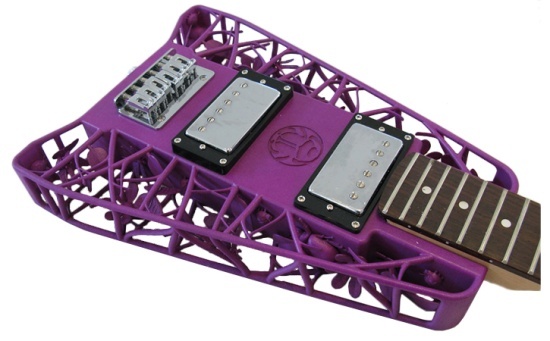 It’s called the reAcoustic eGuitar, and it has a soundbox that can be customized for dynamic acoustics. 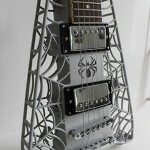 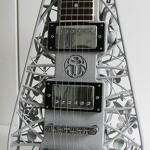 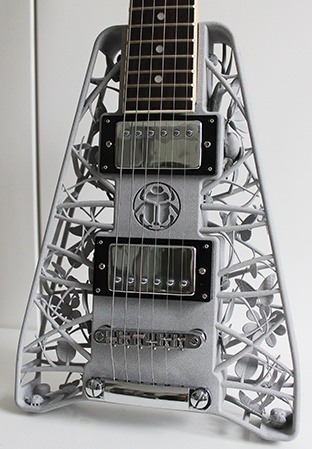 Zoybar, a 3D printing company focusing on making musical instruments, also have their very own 3D guitar. 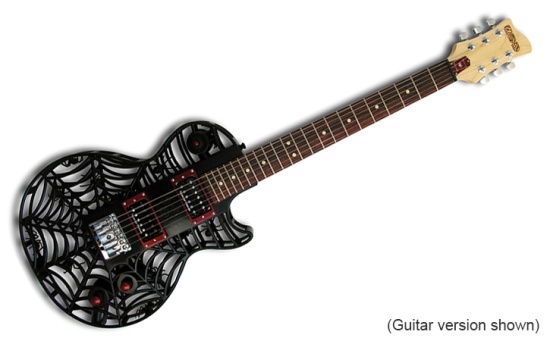 Dubbed as the Zoybar TOR, the 3D guitar will definitely have heads turning to its direction not just with its sound but because of its unique barebones design. 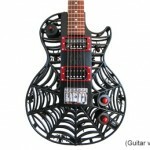 Its body is made of three different parts that look like simple outlines of what a guitar should look like. 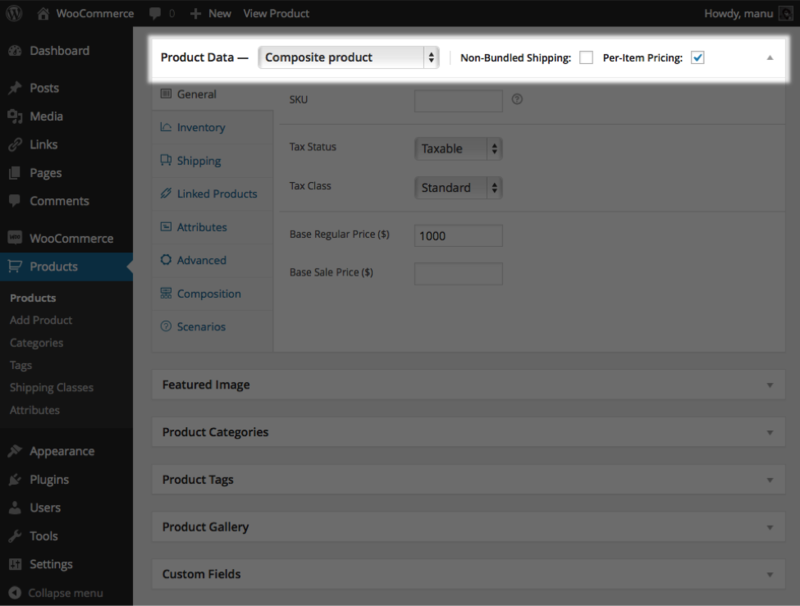 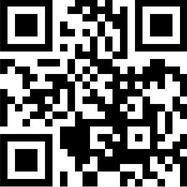 Rod Tolentino has written 1 post on web design mash.